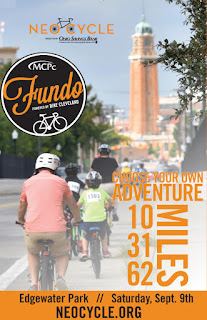 Century Cycles Blog: Ride the MCPc Fundo, part of NEOCycle! The 2017 MCPc Fundo, taking place Saturday, September 9th, 2017 as part of NEOCycle, has something for everyone! Take a casual, fun ride through Cleveland’s newest bike networks, or choose longer, more challenging routes if that’s your thing! 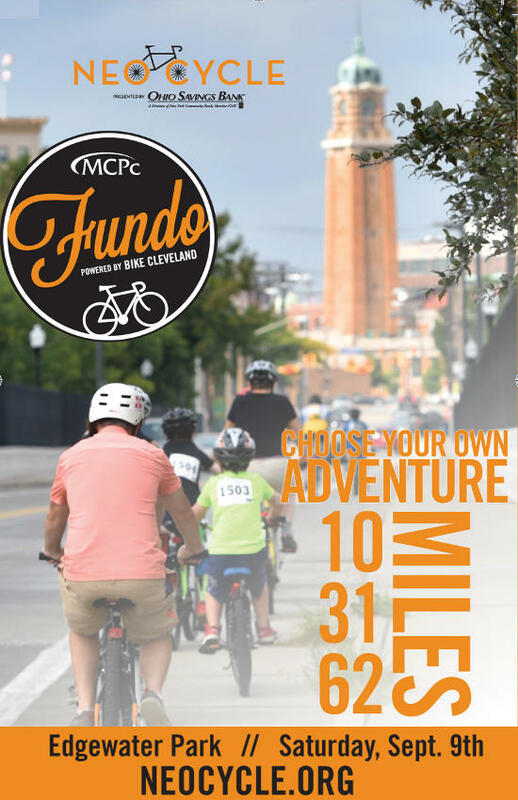 With fully marked courses of 10, 31, and 62 miles, the MCPc Fundo has something for cyclists of all fitness levels and abilities, and encourages people to get out and get healthy. This is a fully-supported ride, meaning there will be multiple rest stops along the route and support vehicles to help if you have a flat tire or other bike issue. Wrap up your ride at the NEOCycle Hub at Edgewater Park with your food truck ticket, voucher for a draft beer, and entertainment with your fellow riders. Best of all – the proceeds from this ride benefit Bike Cleveland and the work they do on behalf of Cleveland-area cyclists!